From time to time some collectors have questions to Pelikan model M400. Here a short assay to explain the differences. 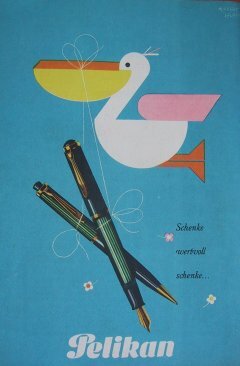 In 1982 Pelikan started a remake of the legendary model 400 from the 1950's with the classical basic shape. With the model name M400 first of all appears the color black/green. This model was a great success. Apart from the feed the new model M400 looks like the model 400 from the 1950's. During the model 400 has a feed from hardrubber and vertical channels, the model M400 has a plastic feed with horizontal channels. 1984 the color tortoise/brown was added and 1995 the color black/blue. A new design in 1997 changed the attributes of the fountain pens. At the barrel near by the filling knob there are now two decorate bands like the model M800. Also at the top of the grip is a new decorate band. The cap has now two cap bands instead of one. At the cap head now is a printed logo in place of the engraved logo. The modell M600 has been made a little bit larger (look at the measurements). 2010 the design changed once more. All Souveraen models as well as the model Toledo got a new metal logo at the cap head.